As aspirants, we now consciously realign with the Divine Plan ~ the unfolding Purpose of the One Life. Through embodiment of the Principle of Decision, we then become steadier in our service expression. Electric fire manifests as Unity of Spirit and expresses the Will aspect of deity. As Watchers of the Dawn we are called to wield this force by aligning with and directing the incoming flow of energies to reveal the Synthesis of Life Itself. All are valuable in this endeavor. Direction and Purpose demonstrate Will, for the Principle of Decision guides our choices and actions providing an opportunity to advance goodwill and right human relations. As each individual unit takes responsibility for applying their highest alignment to Purpose, one’s life becomes the Path, itself. This is an outgrowth of the ongoing sacrifice we make in service to the One. Our Monadic essence joins with the planetary Hierarchy to approach Shamballa. There is a broadening of inclusiveness, as the bridge from Heart to Head is now emphasized. The revealed quality of Synthesis relates largely to the Life aspect, that which enlivens all forms. Through our focus in the arenas of manifestation, the Christ consciousness will emerge fully into humankind’s common experience, as is held in anticipation of the Coming One ~ known in world religions by names including Lord Maitreya, Imam Mahdi, Messiah and Kalki Avatar. In this light we are reminded that “… synthesis is, whilst unity is achieved and is the reward of action and effort.” (2) As we work with the great Principle of Unanimity, balance occurs in all realms including for the individual, the situation at hand, and the greater group life itself. Inclusiveness is a pathway to revealing the synthesis that already exists, and offers tremendous potential for overcoming adversity and divisiveness through the practice of Right Human Relations. We are moving through a pivotal cycle in world events, as has been pointed to by prognosticators from ancient civilizations all the way into present time. Yet in times of upheaval and change, there is great spiritual potential for evolution through enlightened public opinion and the application of Goodwill. 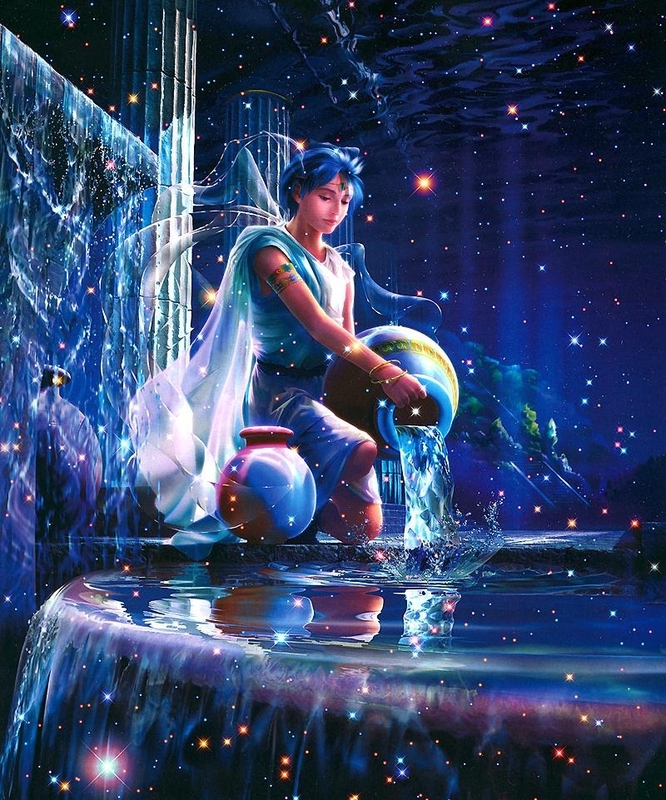 Aquarius orients us further into group alignment, where inclusivity is required in order to find the points of agreement and to strenghthen these. Utilizing the mountaintop vantage point gained in Capricorn we may now ground to the larger perspective, rather than focusing on distracting details. We are Watchers of the Dawn, working with the present time inflow of energies to prepare for and usher in the emerging Aquarian age. All are valuable in this endeavor. By aligning with and directing the incoming flow of energies, we reveal the Synthesis of Life Itself. Be sure to check out the always excellent articles over at www.aquariuspapers.com by one of the top astrologers on the planet today, Robert Wilkinson. Please connect with the group soul this Full Moon no matter where you are physically on the planet. Get together with friends and family. You will be glad that you did. Come on over to our place Saturday evening on the 23rd and celebrate with us, or celebrate wherever you are. 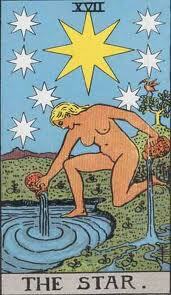 This is the Tarot Card for Aquarius. The person is unclothed because they have nothing to hide. They stand naked before the world. They are balancing themselves by pouring water on earth and water. 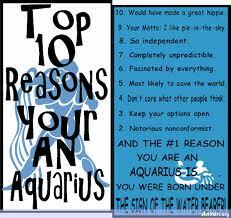 People get confused thinking that Aquarius is a water sign. It is not. It is an air sign, grounded in the mental plane. 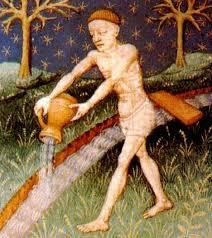 It is known as the “water bearer,” but it actually is an air sign. It is ruled by Saturn and Uranus. What is the significance of the seven stars? What about the bird in the tree? Welcome to the New Age! We are here. In the midst of all the craziness please remember to breathe and know that the Planetary Elders are in charge. Now is a very good time to unplug from the negative news and find the calm center within each of us. There is a plan. It is Light and Love. It is working out – sealing the door where evil dwells. Light and Love and Power are restoring the plan on Earth. So mote it be. And so it is. From Eisenhower and US 287 (Lincoln), go west on Eisenhower to Van Buren. Turn left (South) on Van Buren. Turn left onto 10th Street. We are the next to last house on the left side of the street. This entry was posted in Astrology, Full Moon, Mercury Retrograde and tagged Astrology, Full Moon. Bookmark the permalink. Thank You For Your Time & Enlightened Energy! Thank you Joey. It was great to have you here.